FCCJ film night audiences are no stranger to movie stars, but they are sometimes surprised when the lights go up after the screening, and the Japanese camera crews start filing in for the Q&A sessions. On May 13th, there were 6 TV crews and several dozen still photographers from the Japanese press — all there for sound bites and great images of megastar Satoshi Tsumabuki (Waterboys, The Little House) and Sosuke Ikematsu (The Last Samurai, Love’s Whirlpool). The instant and widespread Japanese coverage of our events enables us to continue sneak previewing some of the most buzzworthy films opening soon in a theater near you. On this night, that film was Yuya Ishii's Our Family, soon to open across Japan. In 2013, Ishii’s The Great Passage was selected as Japan’s official Oscar entry and swept up every conceivable domestic award, including the top four Japan Academy Prizes. The director could have had his pick of any follow-up project, but as he explained to the FCCJ audience, he chose to adapt the bestselling novel Our Family because he was consciously making a break from the existential comedies with which he had made his reputation. Why? Because it was to be the last film he made before turning 30. The result is an extremely mature work. Our Family features Ishii’s trademark comical touches but also demonstrates his new mastery of gravitas as it limns the emotional journey of a four-member dysfunctional family facing a range of modern-day maladies, most crucially, its matriarch’s diagnosis with a potentially fatal brain tumor. Rather than continuing to hurtle toward collapse, the family gradually begins to discover in each other unexpected sources of strength and ultimately, hope. Ishii and Tsumabuki share a laugh during the Q&A session. Tsumabuki and Ikematsu, who convincingly portray the estranged brothers in the film, discussed their images of families at FCCJ, both agreeing that there’s no such thing as the perfect one, and Tsumabuki stressed that communication is the most powerful tool to overcoming problems. When questioned about his recent appearances in a string of family dramas, he insisted that he hadn’t planned it that way. 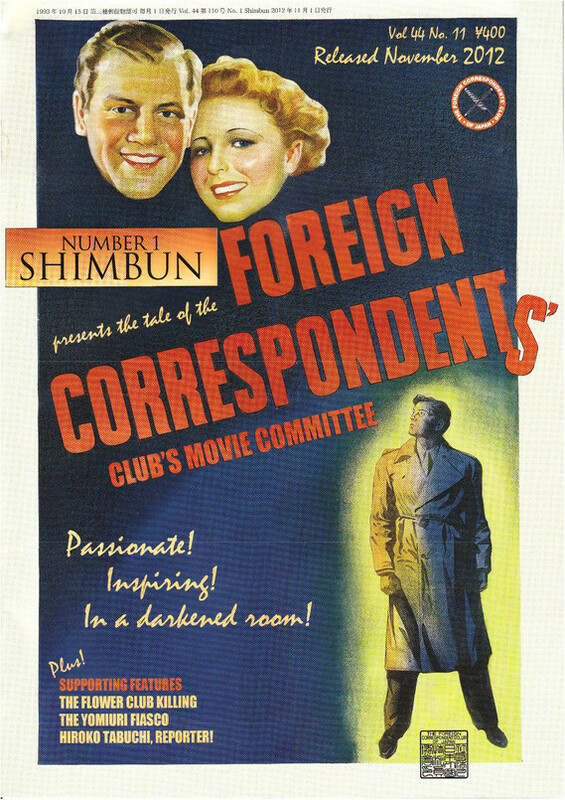 All three men were curious about the overseas reception of the film when it seems to them so specifically Japanese — but FCCJ's audience clearly found it to be universal. Nippon TV interviews French critic Aude Boyer after the screening. Our Family has been selected for competition at the Montreal World Film Festival in August, marking its international debut. The festival is very Japanese-film friendly, having bestowed a range of awards on Japanese titles nearly every year, including the top prizes for A Long Walk (2006) and Departures (2008). — Photos by Koichi Mori except where noted.